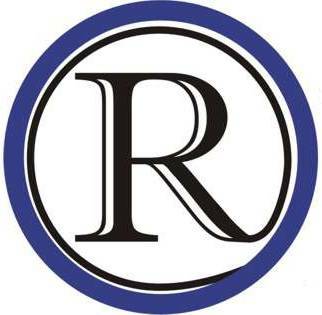 If you would like to have information about your organization included on the website and or links to your website, please contact me at editor@raytownonline.com. We are interested in maintaining a list of organizations that are ACTIVE in RAYTOWN. If your church, club, or charity is active in Raytown, we are happy to make information about it available to the public. Last modified on 2012-12-18 22:05:06 GMT. 0 comments. Top. The Shepherd’s Center’s mission is to promote the dignity, independence and continued productivity of older adults. It encourages personal and spiritual growth through its programs and services, and is dedicated to helping older persons live in their homes and community for as long as possible. One of the services that the Shepherds Center provides to its communities’ seniors is Meals on Wheels in which volunteers deliver hot nutritious meals five days per week to those requiring assistance with their dietary needs without sacrificing their ability to remain independent in their own homes. Wheels that Care is another service in which volunteers transport seniors to medical appointments Monday through Friday if they are unable to drive or transport themselves. The Shepherds Center also offers programs to keep seniors active such as a monthly Book Club, Bridge and Card group, Exercise Class, Computer Classes and many more. There are six services and nine different programs available. Last modified on 2011-10-20 05:57:11 GMT. 0 comments. Top. River of Refuge is a non-profit organization that transitions homeless families, who have jobs, from high rent motels and shelters into permanent housing. Our mission is to break the cycle of homelessness and restore dignity to individuals and families by providing transitional housing, education, food, budgeting classes and permanent housing to qualified families in a loving and caring environment. Volunteer projects are planned on a weekly basis. Some of our larger projects can be coordinated specifically for churches, businesses, or other large groups of volunteers. Arrangements to volunteer can be made by calling the River of Refuge office at 816-737-5100. Project 51 is partnership pledge with River of Refuge. The name Project 51 comes from the 51st Psalm which is a Psalm about redemption. The address where our families will be housed is 5151 Raytown Road. Project 51 pledges can be made in amounts ranging from $5.10 a month up to $510 a month. Other options for support are available on our website, www.riverofrefuge.com including monthly as well as one-time giving. Corporate sponsorships allow River of Refuge to organize numerous fundraising events throughout the year. Corporate sponsors are recognized at River of Refuge events. For more information, you can call River of Refuge directly at 816-737-5100 or contact Jaimee Blake, Media Director for River of Refuge at JaimeeBlake@RiverofRefuge.com. Last modified on 2010-07-06 19:45:33 GMT. 0 comments. Top. The Raytown Crime Watch organization is comprised of dedicated volunteers, who take pride in their community and dedicate both time and talent to deter crime by serving as “extra eyes and ears for the police department“. The Raytown Crime Watch organization is working to maintain crime at a low level keeping Raytown a desirable community in which to live. 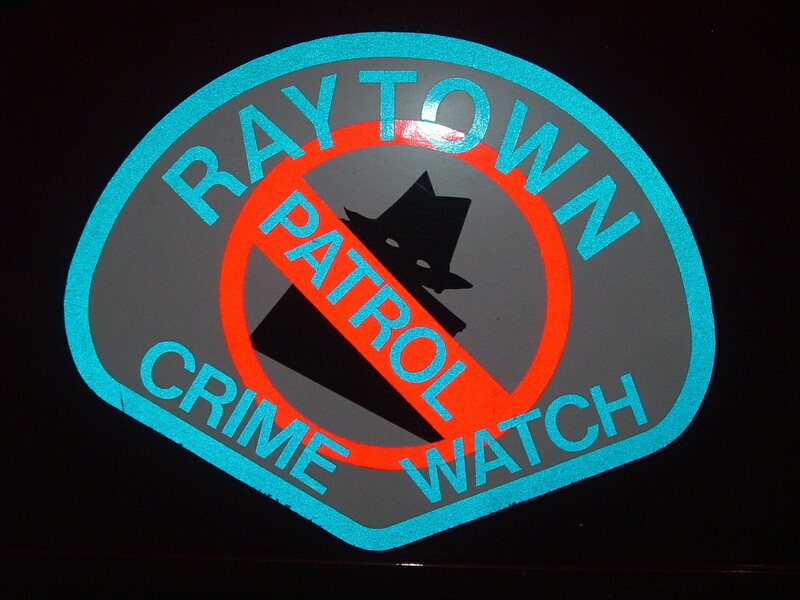 Watch for the RAYTOWN CRIME WATCH signs on the sides of our vehicles in your neighborhood. If you are interested in becoming an involved citizen and you have a few hours to spare please contact Crime Watch information line at 816-984-6790 for more information and to leave us a message. Last modified on 2012-11-05 18:51:05 GMT. 0 comments. Top. The Raytown Amateur Radio Club, Inc. (as it is officially known,) is a non-profit, 501(c) corporation organized under the laws of the State of Missouri, and is governed by its Board of Directors consisting of a President, Vice President, Secretary, Treasurer, and Member at Large. Raytown ARC has recently grown to a membership of over 80 members. As one of the most active organizations of its kind in the region, we have come to be known as a Radio Club that “Gets out and does things!” The Raytown Amateur Radio Club has consistently placed among the top five amateur radio clubs in its class nationwide at the annual ARRL Field Day Event. Last modified on 2012-02-09 05:01:36 GMT. 0 comments. Top. The Raytown Tree Board is a volunteer organization established in 2000 operating under the umbrella of the Raytown Parks and Recreation Department in Raytown, Missouri. Parks is proud to have a certified Municipal Specialist Arborist on staff. Currently, there are only seven in the entire state of Missouri who have earned this level of certification from the lnternational Society of Arboriculture. The Tree Board and our website is a resource for government and citizens of Raytown regarding the care, selection and planting of trees on public lands and rights of way. Alerts will be posted as we become aware of any potential threats to Raytown’s trees. Last modified on 2012-09-06 13:59:11 GMT. 0 comments. Top. The Breaktime Club program invites older care recipients with some limitations to enjoy a program which engages the body, mind and spirit. Caregivers are able to find comfort in the fact that their loved ones are enjoying a day of social interaction. The Breaktime Club provides respite for caregivers each Monday, empowering them to respond to their own needs and enhancing their ability as caregivers. The Breaktime Club meets every Monday at the Blue Ridge United Methodist Church 5055 Blue Ridge Blvd., Kansas City, MO from 9:30 am to 2:00 pm and includes a hot lunch. There are no cost or residency requirements to participate in this program. Funding is provided by Shepherd’s Center of America and Mid America Regional Council Department of Aging. A Caregiver’s Support Group meets the second Monday of each month at 9:30 at the Blue Ridge United Methodist Church. Caregiver resources are shared by professionals in the field of aging to assist in caregiving knowledge. Each month a different speaker is featured. For additional information please contact the Shepherd’s Center of Raytown at 816-356-9000 or Program Director Dianne Morris at 816-353-3155. The Breaktime Club is one of several programs and services of the Shepherd’s Center of Raytown. The Shepherd’s Center of Raytown offers many programs that enable older adults to discover opportunities for continuing intellectual, social, and spiritual growth. These programs include: Adventures in (Lifelong) Learning, Exercise Group, Book Club, Bridge/Cards Group and Tai Chi Chih. In order to assist in aging in place for older adults, Shepherd’s Center of Raytown also provides the following services: Meals on Wheels, Senior Companion/Respite Care, Telephone Reassurance, Handyman Repair and Wheels that Care transportation assistance. Last modified on 2013-11-02 22:30:32 GMT. 0 comments. Top. At goodbidding.org Thrift and Flea we are all about community. That’s why our motto is: “Buy it for Good”. Goodbidding Foundation, Inc. operates a non-profit thrift store and flea market with the goal of presenting much of our sales proceeds to charities who have teamed up with us. That’s where you come in. We rely on local businesses and friendly folks like you who generously donate your new or gently used items to our store at 10227 East 61st and Blue Ridge Blvd. in Raytown. The next step is getting the community into the store. We do advertise, but the best advertisement we can get is by word of mouth. Ask us, or go to our website and see how we can help your non-profit or charity or one you know of that would like to team up with us. We love to add charitable organizations to our roster. We would love to have you and your friends come and check us out at our store. You can feel good about all your purchases, knowing you’re getting a great deal and your helping those in our community. Last modified on 2013-12-19 00:40:48 GMT. 0 comments. Top. Candlelight Quilters of Raytown meets on the third Thursday of every month from 7-9 pm. We meet at the Show-Me Quilting shop, 6221 Blue Ridge Boulevard, Raytown Plaza Shopping Center. Members participate in individual & joint quilt projects, UFO challenges, fabric swaps, quilt block exchanges, charity projects, fun and fellowship. Candlelight Quilters of Raytown is open to quilters of all skill levels. Call 816-353-9366 for more information, and to register.